Graeme Souness: “What a goal this is. Van Dijk pings the ball forward with a lovely strike, his touch is gorgeous and he is shown in by Emerson. Someone has got to be helping him, Jorginho has got to be coming across a bit quicker and prevent the shot. “That is maybe being a bit critical and it is not taking away from the strike. It is a wonderful strike, it’s a sensational strike. 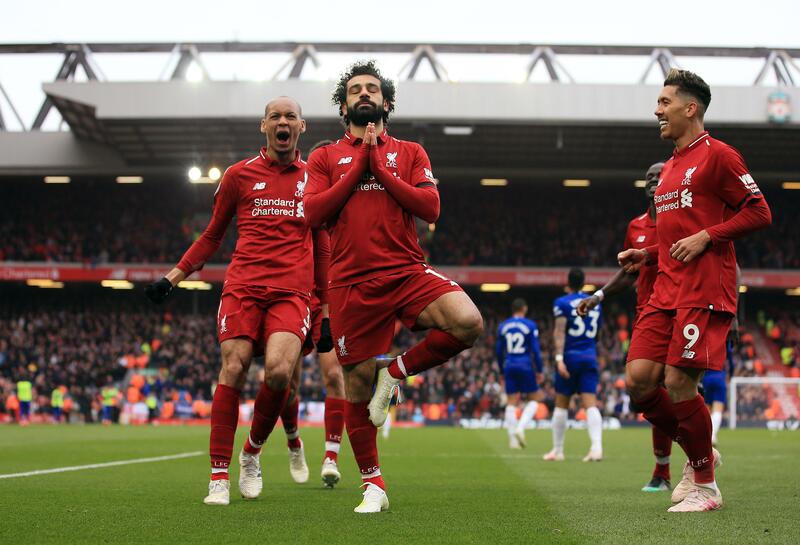 The goalkeeper possibly could have moved his feet, which he doesn’t, maybe because Salah took it so early, but it is a wonderful strike and he was super today.” In celebration of Salah’s strike on Sunday, we look back at his best five Premier League goals.